- Master Slider A premium slider plugin for your premium website. Create professional slider easily for your business. 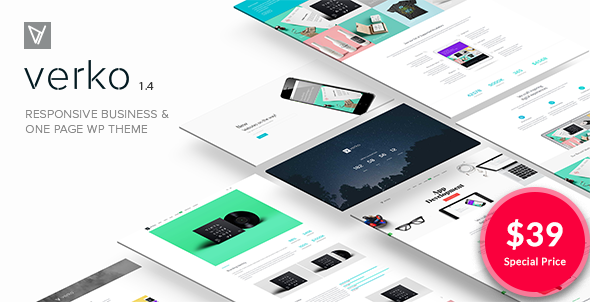 - Vertical Navigation a modern navigation style designed for one page website. see vertical navigation and one page website examples here. - Drag & Drop Visual Composer Easily create business website design using visual composer a must have feature in wordpress themes nowadays. - Advanced Portfolio we fully understand that Your portfolio is your business calling card, that’s why we dont limit how you present your portfolio. - Wordpress theme Customizer Manage all aspects of your site using a wordpress theme customizer , so you can see exactly how the logo, front, or layout will shown before publish! - Testimonial Potential customers care more about what other customers have to say over anything else, elegantly showcase the testimonial in a slider or list layout and show off as the best business website. - Multi Header Option From modern to classic layout, choose the header layout style that best suits your business needs. - Blank Template A unique template with the options to remove header and footer, designed for landing page, splash page, coming soon, newsletter, download page, promotional page or anything! Explore your imagination with our blank template. - Fully Responsive ( mobile friendly ) As Google Makes “Mobile-Friendliness” as a factor for their search ranking , we make sure that Verko is mobile friendly. - Megamenu Beautiful megamenu, add beauty and functionality to your site for easier navigation. The default WordPress Menu maker with the ability to add image. - Off Canvas Sidebar & Menu the new trend in website design, keep your website full-width without losing the functionality of sidebar and menu.